PNNL scientists have proposed a concept of resilience for microbial communities that could finally unite ecologists and engineers. Much like how the area around Mt. 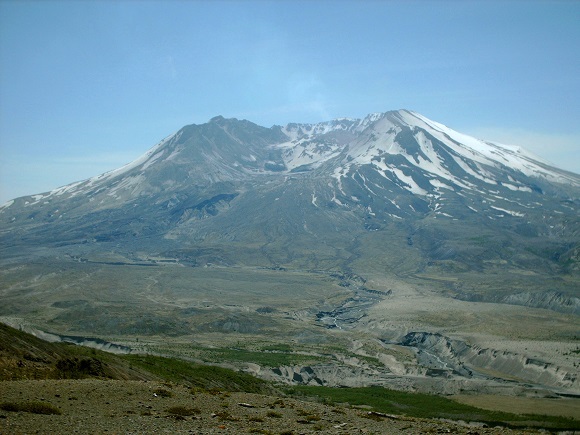 St. Helens is recovering after the 1980 eruption, the way microbial communities maintain their function following a change in their environment is important. Results. Resilience is an important concept these days, in everything from human communities restoring order after natural disasters to microbial communities recovering from a chemical spill. However, there's no agreement on how resilience should be defined and measured. One scientific body identified 47 definitions of resilience used in diverse areas, including engineering, ecology, sociology, economics, and psychology. Yet, understanding resilience in microbial communities is a critical component to engineering them for biotechnologies or predicting how they will respond to a changing environment. These communities must be able to recover quickly from an environmental change so their function is stable over time. Now a group of Pacific Northwest National Laboratory computational biologists and microbiologists has proposed a way to define resilience in microbial communities that unites ecologists and engineers. Their efforts were recently featured in Frontiers in Microbiology. "We believe that resilience in microbial communities is best defined as the rate of recovery of a given function of interest to the researcher," said Dr. Stephen Lindemann, the PNNL microbiologist who led the team. "Focusing on the system's fundamental characteristics in response to a specific change in the environment not only allows us to compare resilience of a function between communities, but also provides a deeper understanding of community properties. Using this definition, we propose that resilience comes from within a microbial community-regardless of the environment it lives in." Why It Matters. They may be tiny, but microorganisms collectively exceed the mass of all other plants and animals on the planet. They control the carbon and energy cycles on the planet, and scientists are beginning to appreciate their role in shaping human health and physiology. These little wonders are also being studied as a potential means to capture renewable energy. Understanding the processes that govern how microbial communities respond to changes in their environment is critical to ecologists concerned with predicting the effects on ecosystems from climate change or volcanic eruptions and to engineers designing communities for stable biotechnology processes. "To design the best system, we must develop rational methods to quantify microbial community resilience and be able to predict approaching tipping points," Lindemann said. Methods. Seeking an integrated concept of resilience applicable to all microbial communities, the scientists compared previous resilience studies from an engineering and ecological standpoint. Consistently, they found that changes in the microbes' environment might result in changes to the community's composition or size but maintained critical functions. Understanding how these functions will respond to changes in the environment is of central importance to both ecologists and engineers. What's Next? PNNL scientists plan to identify fundamental mechanisms responsible for the resilience of both simple and highly complex microbial communities. Understanding these mechanisms will significantly advance the capability to design, predict the behavior of, and control microbial communities, whether in natural ecosystems or bioengineered systems. Sponsors: The U.S. Department of Energy's Office of Science, Biological and Environmental Research, supported this work via the Genomic Science Program. Research Team: Jim K. Fredrickson, Stephen R. Lindemann, Ryan S. Renslow, and Hyun-Seob Song, Pacific Northwest National Laboratory. Reference: Song H-S, RS Renslow, JK Fredrickson, and SR Lindemann. 2015. "Integrating Ecological and Engineering Concepts of Resilience in Microbial Communities." Frontiers in Microbiology 6. DOI: 10.3389/fmicb.2015.01298. In One Sentence: PNNL scientists proposed a concept of resilience for microbial communities that could finally unite ecologists and engineers in understanding this critical concept for engineering such communities for biotechnologies or predicting how they will respond to a changing environment. In Less Than 140 Characters: PNNL scientists proposed a concept of resilience for microbial communities that will further understanding of community response to change.